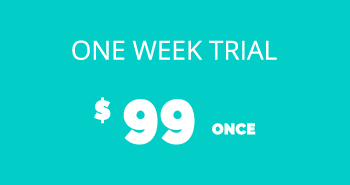 Start your One Week Trial Now! No Setup, No Code, No Commitments. Only Great Leads! Test us for One Week completely risk-free! Use this offer to test our full-time workers. Simple and easy setup and no commitments. If you are happy with the results you can upgrade to our Weekly Plan or Monthly Plan. If not, your trial ends automatically after one week. This offer can only be redeemed once per company.